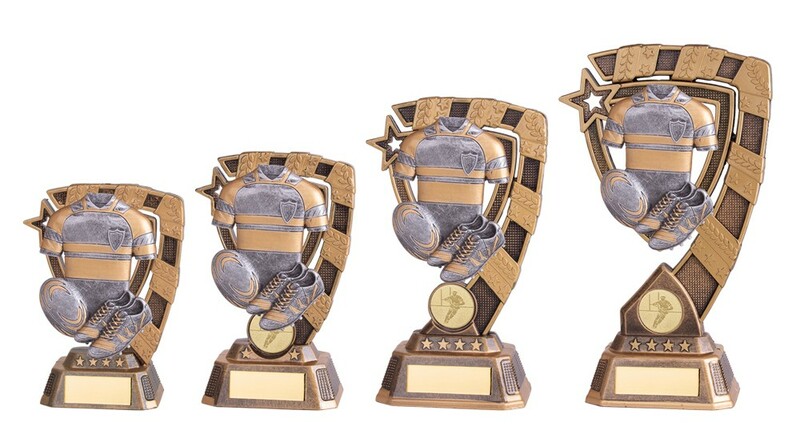 Resin Euphoria Rugby T-Shirt, Boots and Ball Trophies. Available in 4 sizes, 130mm, 150mm, 180mm and 210mm high. Bronze and silver with gold highlight. 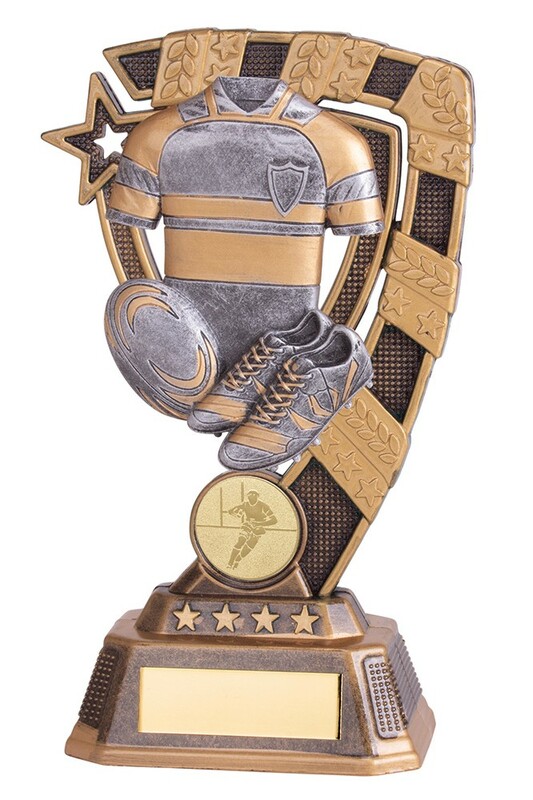 A perfect football award to present to your players!